When Sir Stamford Raffles stepped ashore on the island of modern-day Singapore in the early days of 1819, he knew right away he was onto a good thing. With its deep harbour and an enviable position on the Straits of Malacca, a vital sea passage between India and China, it was the ideal place to set up a trading post for the British East India Company. Fast-forward 200 years and Singapore has evolved into one of the world’s most dynamic cities – a financial and trading powerhouse, and a magnet for tourists from across the globe. If you’re new to the city, start exploring at the much-photographed Merlion statue on the shores of Marina Bay. The name Singapore comes from the island’s original Malay name Singapura, itself derived from the Sanskrit meaning Lion City, so it’s fitting that this curious fusion of lion and fish is the national symbol of seaside Singapore. Today the statue guards the entrance to the Singapore river, and a selfie with the Merlion is a must. Statues aside, the waterside promenade here also offers superb views of the city skyline, and across to the impressive Marina Bay Sands hotel and casino complex. These shores are where the city’s first traders set up shop, with the banks of Boat Quay once lined with traditional warehouses and bumboats piled high with rice and sugar. Those early traders may be long gone, but the area remains the commercial heart of the city, and a wander along the promenade on Boat Quay is a fine way to marvel at the growth of the city. Further upstream, Clarke Quay and Robert Quay have also been reinvented, and are today lined with fashionable restaurants and bars overlooking the river. Yet that’s for the evening. In the daylight hours, hop on to the efficient MRT (mass rapid transit) system and journey up to Orchard Road. Once a sleepy lane flanked by fruit orchards and spice plantations, today it is Asia’s most famous shopping street – a glitzy boulevard stretching more than 2 km and lined with upscale malls, restaurants and hotels. While Orchard Road may dish up a cosmopolitan mix of boutiques and global brands, other corners of the city are imbued with their own specific charms. 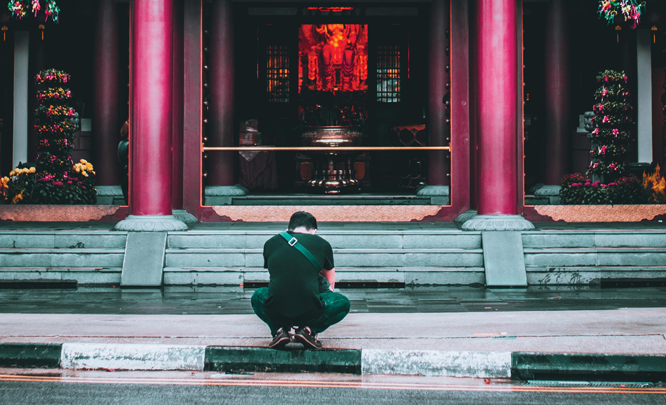 Since the British settled in the city in the 1800s, Singapore has been a peaceful patchwork of vibrant ethnic neighbourhoods, happily existing cheek by jowl on this crowded island. Although the sprouting skyscrapers of the nearby business district have eroded some of Chinatown’s charm, the district is still packed with musty antique shops, cosy tea houses and traditional supermarkets piled high with everything from fresh ginger to salted squid. Chinatown is also home to the colourful Buddha Tooth Relic Temple and Museum. Built in 2007, the temple’s lavish interiors and extensive exhibits on Buddhist art and history are perhaps even more engaging than the main attraction, a golden stupa alleged to contain a tooth of Buddha. A few kilometres north, Little India has been home to a burgeoning Indian community for close on 200 years. The district is a happy assault on the senses, from Hindi pop songs blaring from corner stores to the perfumed air of incense, spice and jasmine wafting down the narrow streets. 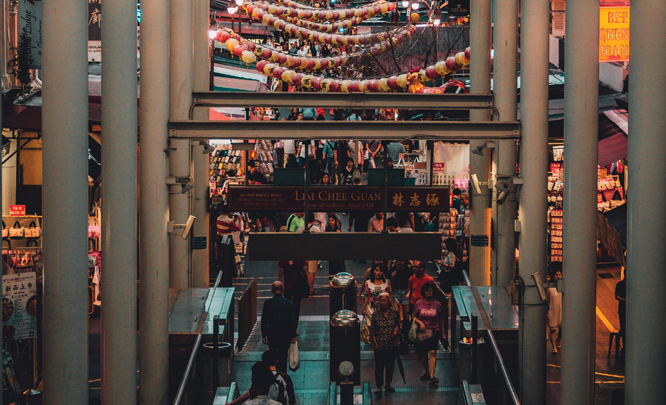 A wander down the main artery of Serangoon Road is a colourful diversion, but also seek out the bustling Tekka Centre, where you can find Singapore’s largest indoor ‘wet’ market, and the 24-hour shops of the Mustafa Centre. If you have time, the Abdul Gaffoor Mosque and Sri Veeramakaliamman Temple offer a glimpse into the diverse religious roots of this close-knit community. The Arab Quarter and Malay communities of eastern Singapore are also worth a look. While the busy streets of these colourful compact neighbourhoods may make the city feel like the quintessential urban jungle, Singapore offers a surprising variety of green spaces. 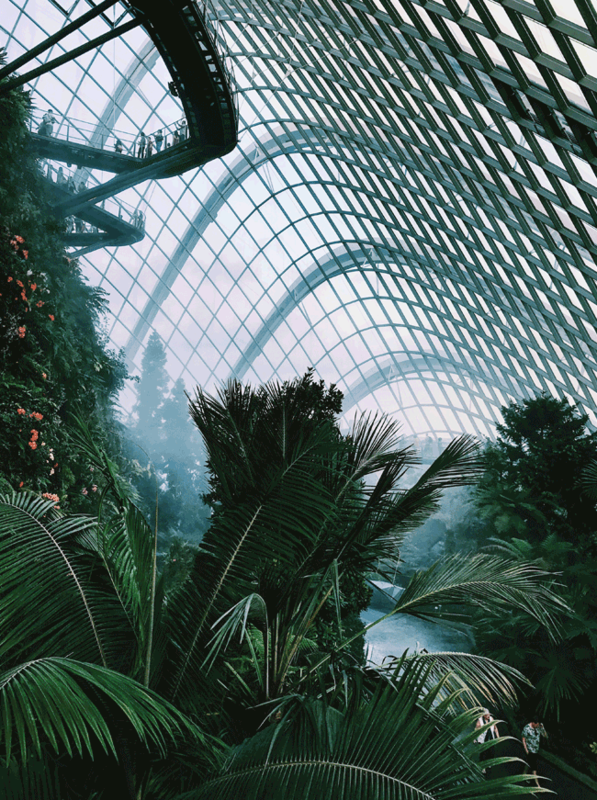 Certainly don’t miss a stroll through the remarkable Gardens by the Bay, a $1 billion futuristic garden stretching across more than 100 ha of Marina Bay shoreline. 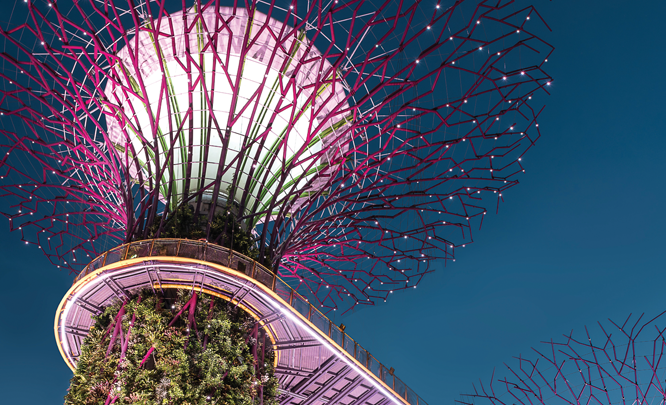 This is no ordinary urban park though: expect to find futuristic biodomes replicating far-away climes, and high-tech Supertrees – tree-shaped vertical gardens linked by suspended aerial walkways. For a more traditional garden, the Singapore Botanic Gardens are just a short stroll from Orchard Road. It’s a peaceful spot to while away an afternoon, with a rich history in the horticultural development of the entire Malay Peninsula. Also seek out the remarkable National Orchid Garden, home to more than 1 000 species. Closer to the business district, Esplanade Park is ideal for a quick jog in the morning, while the hilltop Fort Canning Park offers a welcome respite from the busy streets below. The park is also home to the intriguing Battlebox museum, an underground complex from where the allied forces attempted, in vain as it turned out, to fend off the Japanese invasion during World War II. For history buffs, it’s an illuminating look at one of the defining periods of the city’s history. On the outskirts of the park, the engaging National Museum is equally worth a visit for its exhibits on the history and culture of the city. The Asian Civilisations Museum explores even further afield, with an impressive collection of pan-Asian art and artefacts. The city’s migrant history is written equally clearly in the hundreds of restaurants and food stalls. With its multicultural population and large number of well-heeled expatriate workers, Singapore offers a cornucopia of culinary adventures showcasing the cultural diversity of the Lion City. From sizzling woks at humble street stalls to refined fine dining at Michelin-starred restaurants, Singapore has something for just about every pocket and palate. For a celebratory meal look no further than Odette. Situated in Singapore’s striking National Gallery, French chef Julien Royer shows off his considerable talents on a menu that draws strongly from the culinary traditions of his homeland. Little wonder it’s the recipient of two Michelin stars. Les Amis is another excellent option if you’re looking for classical cuisine. Situated in the bustling Orchard District, Les Amis has been at the forefront of the city’s fine dining for more than two decades, and today chef Sebastien Lepinoy – who spent years working alongside Joël Robuchon – infuses the flavours of France with subtle Asian influences. Although chef André Chiang shuttered his eponymous restaurant in February, after bagging the number 14 spot in the 2017 World’s 50 Best Restaurants awards, you can still tap into this culinary superstar at the restaurant Burnt Ends, where he owns a stake. This laid-back spot is focused on elevating barbecue cooking, and there’s no shortage of creativity on the menu. Chef/owner Dave Pynt draws inspiration from Spain’s acclaimed Asador Etxebarri, and almost every item on the menu – think slices of flat iron steak with burnt onion and bone marrow, or charred fennel with burrata – is kissed by the heat and smoke of his four-ton brick oven. But you’re in Asia, so perhaps you’d rather delve into the high-end interpretations of regional cooking. Waku Ghin at the Marina Bay Sands is an excellent place to start, with a modern-Japanese menu by chef Tetsuya Wakuda presented in a selection of private dining rooms. Wakuda is also the first person outside of Japan to be appointed a sake ambassador, so expect an impressive selection on offer at the bar. Also call ahead for a table at Candlenut, where chef Malcom Lee offers a refined, contemporary take on Peranakan cuisine, the fusion of Malay and Chinese flavours unique to Singapore. 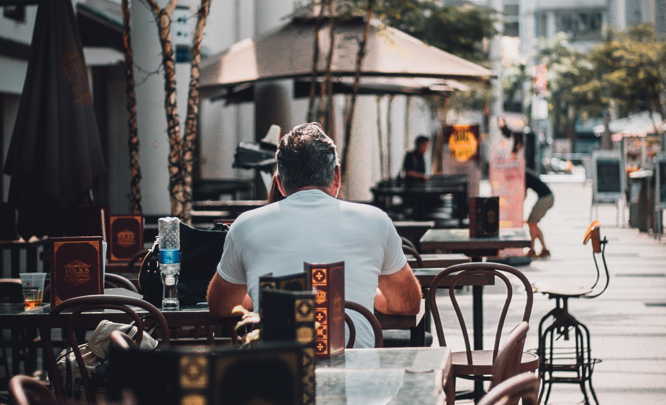 While the city’s fine-dining establishments are ideal when celebrating a deal or brokering a new one, for an authentic taste of Singapore during your downtime you’ll want to head for one of the city’s famed hawker centres. These no-frills markets dish up some of the best street food in the city, from steaming towers of dim sum baskets to spicy satay grilled over open coals. Maxwell Food Centre in Chinatown is one of the best, and a quick gaze around at the stalls dishing up dinner, and the locals tucking in, is all you need to realise the remarkable diversity of the Lion City. This is a city founded on migrants and trade, on commerce and the embrace of all cultures. The end result is a world-class city that has embraced the 21st century, without relinquishing its soul. Nearly 200 years after Raffles stepped ashore, Singapore’s star has never seemed brighter.